People have written about roads for as long as they’ve been around. And before there were roads, they still wrote about travel and about landscape. Landscape is the stage upon which our greatest experiences and desires play out. 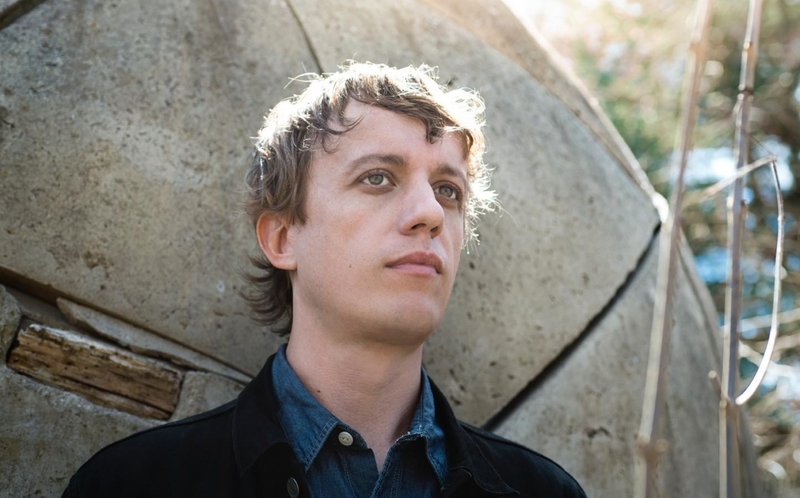 Steve Gunn’s music has always embraced expanse and movement. It springs from the simple and profound relationship between humans and their environment. Eyes On The Lines is his most explicit ode to the blissful uncertainty of adventure yet. Gunn’s roots in the underground run deep, from his days in GHQ to his collaborations with Black Twig Pickers and Mike Cooper. He’s toured and recorded with Michael Chapman, and released two remarkable duo albums with drummer John Truscinski. His solo ventures, emerging over the past decade and culminating most recently the highly-acclaimed Way Out Weather, have been pastoral, evocative affairs. Here he embraces his urban surroundings through a series of songs that fully showcase his extraordinary ability to match hooks to deftly constructed melodies. Gunn is a consummate guitarist, that rare fingerpicker who can harness the enigma of the American Primitive vernacular without lazily regurgitating it. His playing is inventive and full of personality. His instrumental virtuosity calls upon a vast library of technical skills at will, but he’s never showy — his riffs and runs are always in the service of the song at hand. This song cycle melds thoughtful inquisitiveness with poetic reflection, fully embracing rhythmic uplift, allowing personal stories and impressions to live their own lives on their own terms. Gunn is more narrator than diarist; he pours real-life moments and real-life people into vibrant and evocative tales. Dreams and encounters spiral out – they form their own dramas and illuminate their own truths. Indeed, Eyes On The Lines works like a book of the finest short stories, its songs interlocking with an urgent necessity, forming an ever-questioning whole. In Gunn’s own words: “The music isn’t about me. It’s about characters, either real or fictional. It’s about images.” And what are lines if not one of the foundational aspects of images? Lines on the road draw one’s attention to the lines comprising the landscape. Gunn’s music runs ahead and twists – like time, like the road itself. Guitar lines are highway lines are lines carved by the view out the window are the lines one waits in to get a quick meal on the way from one destination to another are lines one draws in the van to stay amused. It’s good to be out on the road and it’s good to be home, and each feeds into the other. This record sees lines run together and leap across one another. He’s honest about the necessity of being comfortable in being lost. His music values the unknown, so it is always born of the present. We lose ourselves to find ourselves. With all of this comes humility. And gratitude. Listen to “Nature Driver,” a statement of thankfulness for the generosity of the plethora of kind souls who welcome travelers into their homes. “Ancient Jules,” which opens the record, is a travel fantasy of a different sort. Built around a head-nodding motif, the song bobs and weaves its way through a tale which foregrounds the surprising joy that can come with a break – a deep sigh in the midst of an onrush, punctuated by the finest example of Gunn’s electric soloing to emerge yet. A song like “Conditions Wild” also rambles through strange clouds of roving. Interlocking strings, percussion, and vocals join in an irrepressible rush. This record is like that – the songs get lodged in one’s head because they’re catchy, but their atmosphere sends the mind reeling into memory and mystery. These are songs you can take in quickly, but spend all the time in the world devouring. The very large and the very small are present in equal measure. The inability to categorize them within the avalanche of impotent diatribes that pass for categorization is a testament to their power. Stories give us ways to discover meaning. They provide us with signposts – when we recognize our own lives within them, we clarify our existence. “Far from the world is the mystic fool,” Gunn sings on the opening track. The fool may be far from the world, but that doesn’t matter. The so-called fool is jacked in to the cosmos.